Dating Software Review and Price Comparison. If you're looking for Dating Software Reviews then lets take a look at a comparison between the top dating software providers. The below graph shows you the top 3 dating software providers, their prices, their offerings and their real location in the world. 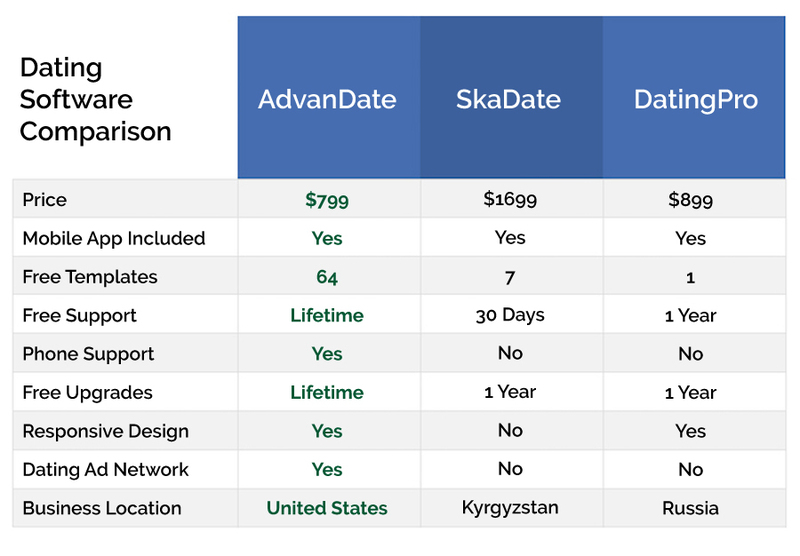 As you can see AdvanDate offers more in terms of software, support and template design. Don't just take our word for it. Read what real customers think of AdvanDate.